Pepsi is among the brands that have recently updated their Facebook presence, when the social net redesigned company pages. Online Media Daily spoke to Shiv Singh, global head of digital for PepsiCo beverages, to discuss the upgraded brand pages, the new ad offerings and analytics tools that Facebook introduced in February. 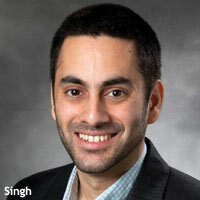 Singh joined PepsiCo in 2010 from Razorfish, where he served as the agency’s global social media lead. He is also the author of "Social Media Marketing For Dummies." OMD: What’s your take on the new Facebook brand pages incorporating Timeline? Singh: The first version of brand pages did not always engage consumers around a brand. This version does a few different things. One is putting the Wall front and center even more strongly -- that’s a big step forward. With Timeline integrated as well, it acknowledges brands have historic, deep relationships. Having a more visual feel to the pages helps us tell our story, and engage and interact with our consumers in ways that make sense for us and for them. OMD: What about the fact that brands can no longer set a default tab on pages to drive “Likes” for a particular promotion or content? Singh: We never felt the number of Likes was the measure of success. Facebook itself has evolved to move away from a strict Like metric as the be all and end all. We’re all about emotionally connecting with our consumers. So the direction Facebook has gone makes total sense for us. We look at all these metrics closely, whether for Pepsi or Mountain Dew or any of our other brands, and all the attention is on the Wall. The Wall is what matters to consumers -- we engage with them on the greatest scale on the Wall. OMD: Shifting to the new premium ad offerings Facebook introduced, how do you view the new formats and expanded analytics? Singh: Facebook is bringing a lot more sophistication to their paid advertising formats, and the results of them, which we never had before. You can justify a spend only to a certain extent without the appropriate metrics. Now we’re getting a lot more metrics. OMD: You mean with the addition of real-time insights for brand pages? Singh: Yes. It actually has two parts. One is the real-time insights, and the other is the relationship with Nielsen, with the Online Campaign Ratings. It’s all the stuff behind the scenes they’re bringing together. OMD: What kind of data in particular are you looking forward to getting now? Singh: One really valuable metric, which hasn’t launched yet, is when we can see in real-time how well a particular post is doing. So for the performance of a post, we can give it additional reach by adding a paid piece to it. That, I think, is a game-changer. Someone on my team might post a message on the Pepsi page and it gets a lot of organic attention -- we know it's resonating with our consumers and fueling engagement. In those cases, we want to double down on it with a paid investment. Typically, we would only see those results several hours or a day later, by which time the moment has passed and you can’t scale up that communication or interaction. With the real-time insights it becomes very different. OMD: Do you expect PepsiCo will spend more on paid advertising with Facebook as a result of the changes? Singh: It’s hard to predict, because there are a lot of factors that drive our budget and media planning process. For example, it depends on which consumers we're trying to engage with, how we want to engage them, which ad units are performing in the market, and how the Facebook programs are working. But I can say, with this latest round of changes, every day we get more bullish. OMD: Do you have any concerns about users having a negative reaction to seeing ads popping up in the News Feed, both on the desktop and in mobile? Singh: We do a lot of marketing on scale, and what we’ve found is people care less about the source of the message and more about the substance of it. If we do a good job in providing valuable, meaningful content that’s aligned with our brand and connects with our consumers. that wouldn’t be an issue. 1 comment about "PepsiCo's Singh: Brand Marketing, Interaction Via Facebook". Karen Ticktin from brandthis, March 27, 2012 at 10:11 a.m.
Shiv, we could not agree more about timeline. We are seeing a real shift to more visual and emotionally expressive social media fodder as evidenced by the huge popularity of Pinterest and the functionality provided by timeline. At the end of the day it's about sharing stories and connecting.